CAT Result 2019 - Candidates will be able to access the result of CAT 2019 tentatively in the first week of January 2020. 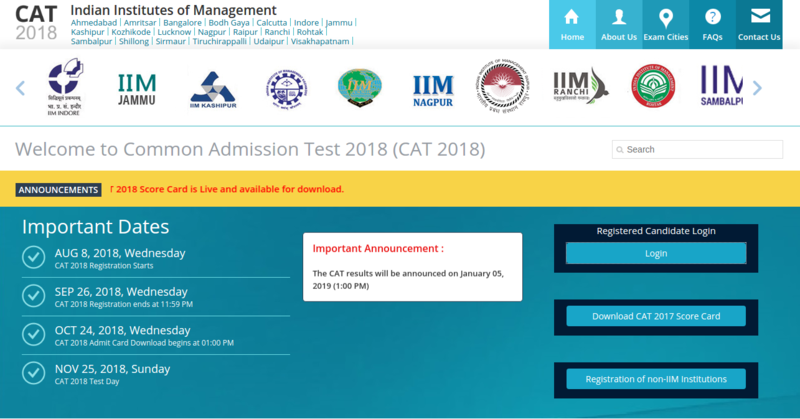 The concerned Indian Institute of Management (IIM) will be responsible for announcing CAT 2019 result in online mode. No hard copy of the result will be provided to the candidates. However, the overall CAT result 2019 will be sent to the candidates through SMS. Candidates will be able to check the result by providing their CAT user ID and password. The section wise and total score and percentile will be present in the result of CAT 2019. The CAT 2019 result/score card can be downloaded by the candidates. As per the scores and percentile secured by the candidates, selection will be done for the admission procedure into the IIMs and other participating institutes. The scores secured in CAT 2019 will be valid only for one year. Read the full article to know more information about CAT Result 2019. The link to access CAT Result 2019 will be made available here as soon as it is released. After checking the result, the candidates can download it for future reference. The authorities will also inform the candidates about the result through SMS. The overall result will be informed through SMS, therefore, for the detailed information the candidates will have to check the result online. The authorities will be computing the result of CAT 2019 by following the official marking scheme. Each question will be worth three marks, as per the official marking scheme. For every incorrect answer, one mark will be deducted. Negative marking is however, not applicable for non-MCQs or TITA (Type In The Answer) questions. The total calculated score will be reflected in the score card/result. 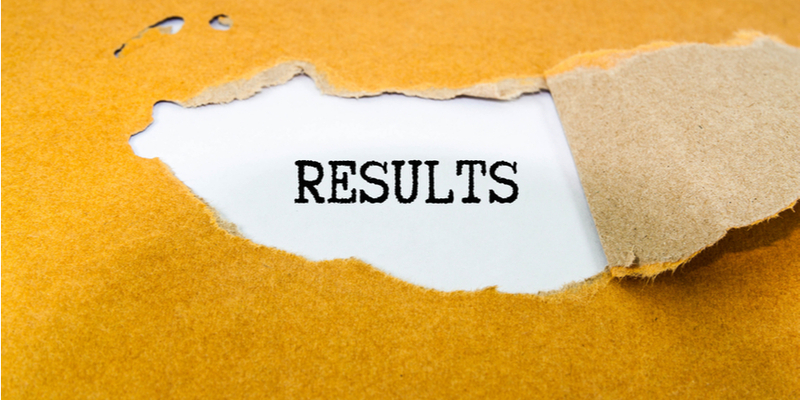 The result of CAT 2019 consists of scores and percentiles. To indicate the value below which a given percentage of test takers fall, percentile is used as a measure. Shortlisting of candidates by IIMs and other participating institutes is done on the basis of CAT percentile. A normalization process has been adopted to calculate the percentile. Since CAT 2019 will be conducted in two sessions, there might be a difference between the two question papers in some way or the other. To avoid any discrepancy and to ensure fairness and equity in performance comparison of the candidates across different test sessions, normalization will be done to the secured scores of the candidates. The normalization process will adjust for location and scale differences of score distributions across different forms. After normalization across different forms, the scores shall be further normalized across different sections. The scaled scores obtained by this process shall be converted into percentiles for purposes of shortlisting. For reporting purposes, scaled scores for every three sections and total along with the percentiles shall be available in the result of CAT 2019. CAT 2019 result will be available in online mode. Offline copy will not be provided to the candidates. The sum of the scaled scores of the candidate in the three sections will be the overall scaled score. The score of CAT 2019 will be valid only for one year. A candidate’s score will be disqualified if he/she has provided wrong information and does not meet the rules of the admission process. The candidate will also not be allowed to participate for CAT in the future. 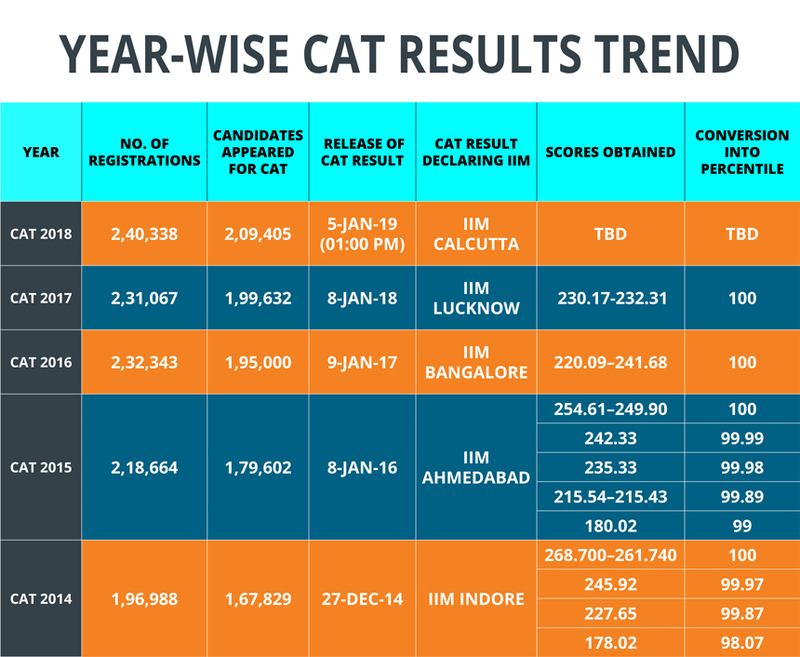 What after CAT Result 2019? After the result is officially declared by the authorities, the cutoffs will be announced. IIMs will be responsible for releasing the cutoffs. The participating institutes will be shortlisting the candidates for the round of selection - Writing Ability Test, Personal Interview and Group Discussion. Along with IIMs, other top B-Schools will also declare their cutoffs. The selection procedure will be conducted for the shortlisted candidates. The cutoff of CAT 2019 is the minimum percentile which has to be secured to qualify for the next round of selection process. 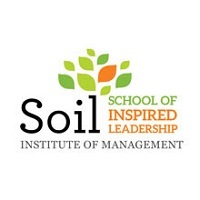 IIMs along with other top B-Schools will be releasing the cutoff for the admission process. The cutoff will be prepared after checking many factors such as difficulty level of examination, total number of test takers, total number of seats and more. Candidates can check the tentative seats made available for admissions into the IIMs. 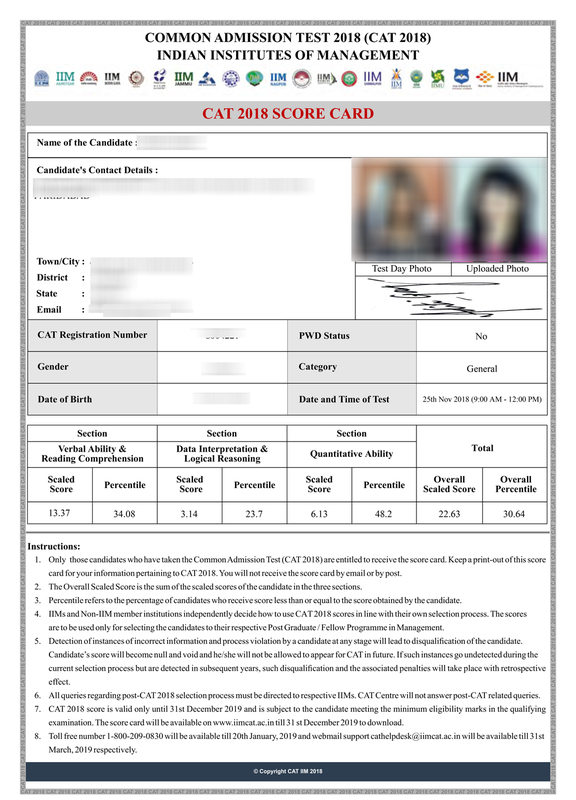 Q: Will the result of CAT 2019 be available only in online mode? Ans: Yes, candidates will be able to access the result only in online mode. However, the overall result will also be sent to the candidate’s registered mobile number through SMS. Q: If I appear for CAT 2018 in the second slot, will my result be declared on the same day as slot 1? Ans: Yes. The result of both slot 1 & 2 will be declared on the same day. Q: What is meant by a 'valid CAT score'? Ans: The CAT 2019 result/score has a validity attached to it. The scorecard of CAT 2019 will have mention of the last date until which the CAT 2019 result will remain valid. After the expiration date, the CAT 2019 score will not be considered for admission to any college/management institutes. Q: What impact will the answer key objections have on the CAT 2019 result? Ans: In case any of the CAT 2019 objections of answer keys is found valid, adequate measures will be taken by the exam authorities. The CAT 2019 result will be altered accordingly based on the decision taken by the expert panel. Q: What is the maximum number of attempts in CAT? Ans: There is no limit pertaining to the number of attempts for CAT exam. Eligible candidates can appear for the exam as many times. 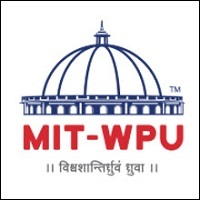 Q: How many institutes will accept CAT 2019 score? Ans: Apart from 20 IIMs, over 100 B-schools across India will accept the CAT score 2019. Around 4,000 seats are offered by 20 IIMs through CAT exam. Q: Can I get my CAT score re-calculated if I don't find it accurate? Ans: No. 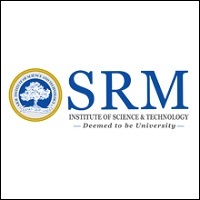 IIMs do not provide any provision of re-calculating the CAT score. The CAT result once announced remains unchanged. However, last year, candidates were allowed to file objections if there was any discrepancy in the answer sheet before the announcement of the result. Q: Will my CAT score be valid if I get a backlog in the final year of my graduation? Ans: Yes, your score will be valid. However, you would need to clear your backlog before the final selection and need to submit the result before a particular date as set by the institute where you apply for admissions. Until then, you will not be eligible for admissions. This article has been written as per last year’s information. Updated details will be available here as soon as it is released by the official authorities. i got 85% in 10th and 12th and 70% in bsc and 90ile in cat..can i get admission in sp jain Mumbai ?? What is the worst rank which I may expect with 227 marks in jee mains April session.i gave it on 8th ,2nd shift.im from gen cat. Want to join coaching classes for CAT preparations .Can any one suggest best coaching classes in place like mumbai and Hyderabad? ?